There are negative influences all around us. Start by learning and recognizing what is negative. If something or someone is rubbing you the wrong way, it’s probably negative. If your actions or words is making someone feel bad, it’s probably negative. If your actions and thoughts make yourself feel bad, it’s probably negative. Protect yourself by keeping a positive attitude and thoughts. Avoid these things for a while, if it makes you feel better. 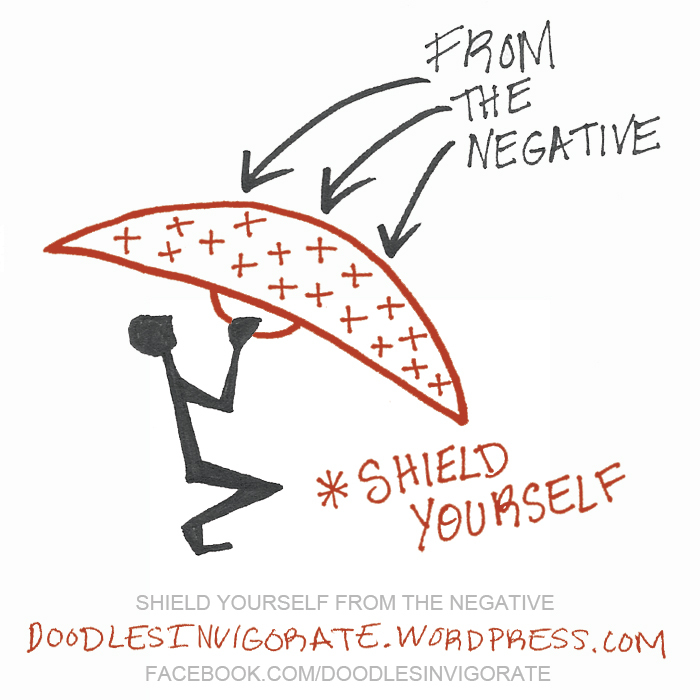 Shield yourself with positive!